Note: For those so inclined, I have put two pipes appearing in the book up for sale in the “FOR SALE & TRADE” page found on the navigation bar at the top. There is also some Penzance and other tobaccos I’m looking to trade, if anyone has an excess of virginia tobaccos on hand. If you buy either of them, I will be glad to list your name as “from the collection of” in the photo credits at the back of the book! The “A” Shapes — all in one go! This must be the smallest shape group in the entire Peterson catalog. Certainly, it’s the smallest one I know about, consisting of just four numbers, A1 – A4. They all derive from Peterson’s first full-blown foray into antique reproductions. They weren’t the company’s first look back, the 1981 Mark Twain and a few other pieces having appeared in the late 1970s, but they remain the finest presented set, and were made available in a leather companion cased set as well as individually cased, beginning in 1995 and running through 1999 or so. The inspiration for the “1910” A1 could very well be the bulldog System 35 pictured on p. 42 of the 1906 catalog. 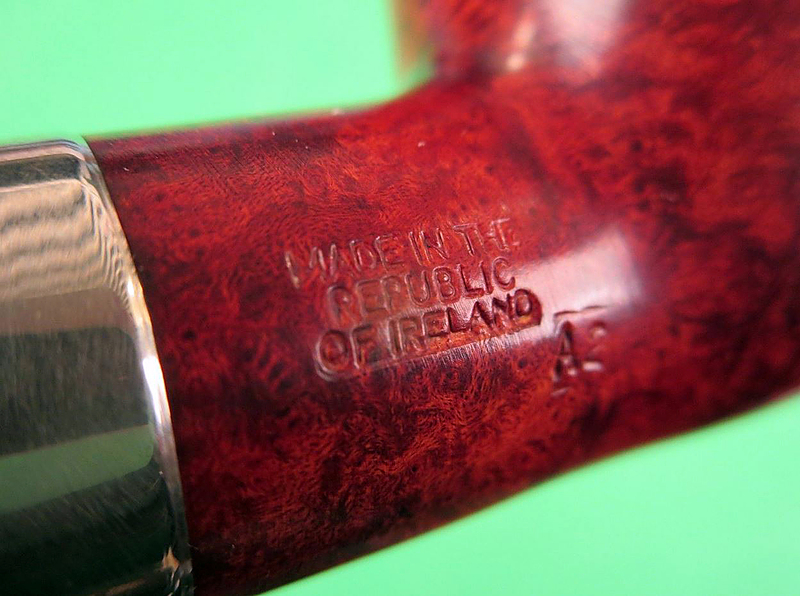 Alone of the four original antique shapes, the A1 has remained in the catalog, and has been available in several lines over the years, including the St. Patrick’s Day for 2008 (2nd below) and 2011, the Donegal Rocky, the Smokingpipes.com exclusive Aran sandblast, and the Derry Rustic (first below). It’s just a great bulldog shape, not too big, not too small. The “1905” A2 seems to be a copy of the System 29, also on p. 42 of the 1906 catalog, where it is displayed with an AB long, or army-mount tapered long stem. Here the Dublin-Era designers of the mid-1990s one-upped the original catalog illustrations, opting for a chubby AB stem that I’ve always admired. 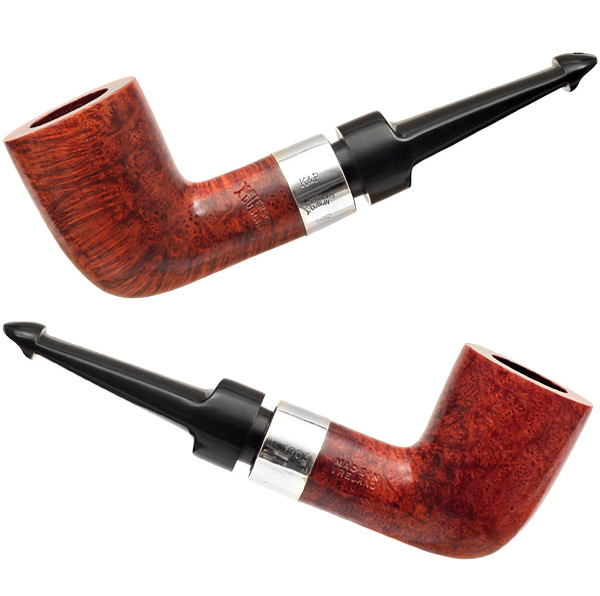 The reproduction, of course, was not drilled for a System, which means the chamber is significantly deeper, and from personal experience, I can say it smokes very well indeed as a P-Lip. In its A-shape release, I’ve only been able to track it as appearing in the 2002 St. Patrick’s Day line, although I wouldn’t be surprised if it appeared in other lines as well. The A3 derives from the so-called “1909” bent System with Space-Fitting Mount. 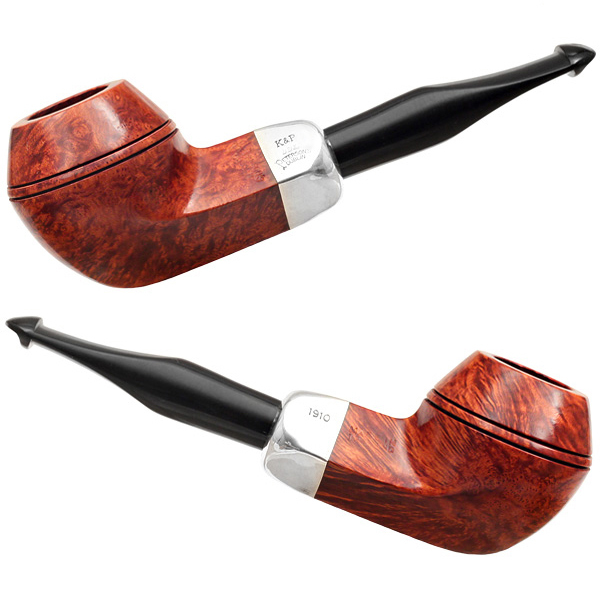 I say “so-called” because the shank angle and size of the bowl most closely resemble the System Ball shape 15 seen on p. 24 of the 1906 catalog, but the A3 is actually more of a chopped billiard than a ball. My sense of this shape is that whoever cut it did not have a clear understanding of the three basic Patent shapes (the ball, the billiard, the straight billiard or “dutch”). Perhaps making a ball shape is something contemporary cutters no longer know how to do. 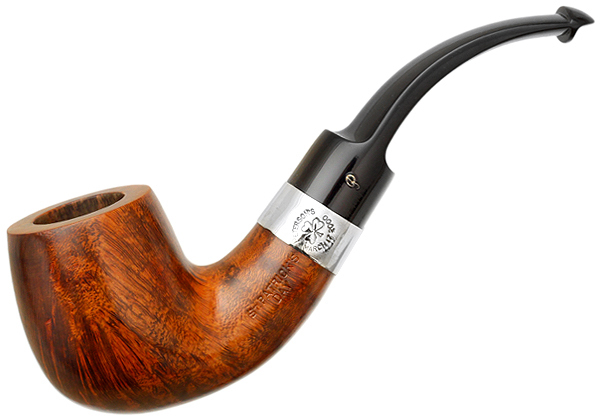 In any event, what the Peterson aficionado is left with is, in fact, an original System shape with a functioning System design, which is kind of fun, really, as this makes it one of the rarest of all System shapes. Like the A2, it is hard to track in subsequent lines. I’ve only found it appearing in the extremely handsome and remarkably P-lipped St. Patrick’s Day 2000 release. 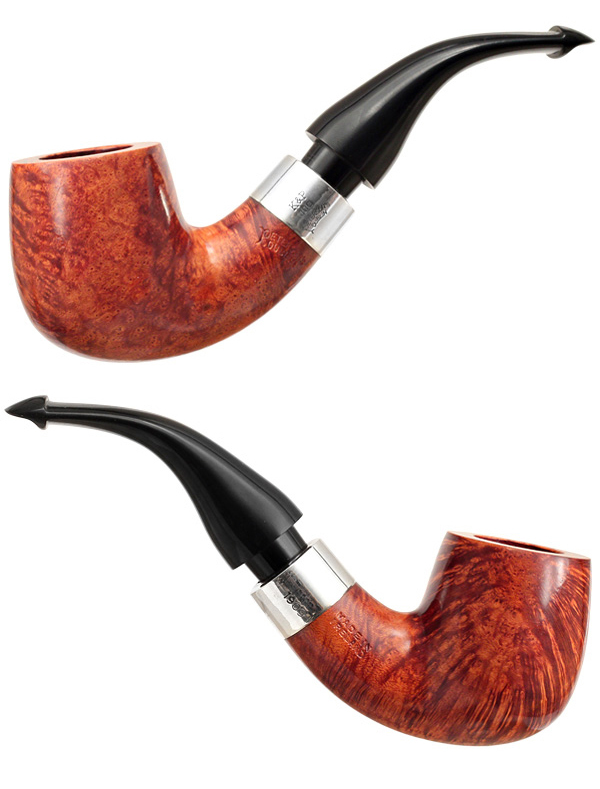 As you can see in the photo below from Smokingpipes.com, it is easily the handsomest of all the A shape releases, somewhat resembling the Sherlock Holmes Moriarty, although smaller in size. 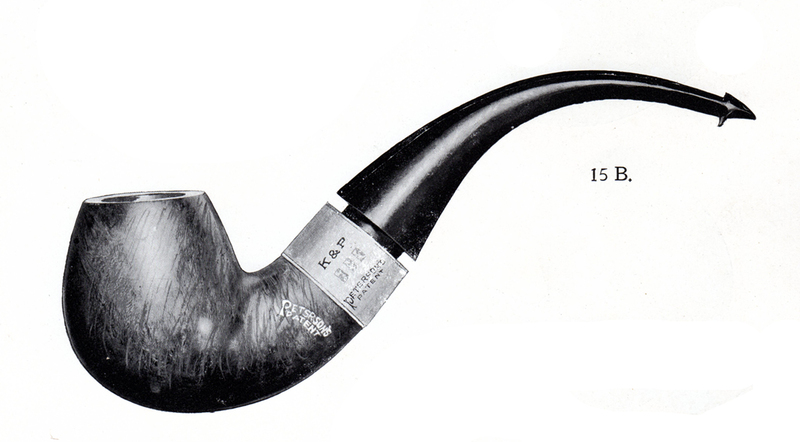 Originally the 31S System in the 1906 catalog (seen here as a 31A), like the “1905,” this great dublin-on-steroids shape wasn’t made in the Antique Reproduction collection as a true System, but did have a tenon extension built into the mouthpiece (also true of the “1909”) and performs quite well as a P-Lip. It appeared subsequently as an A4 in the incredible sterling-mount P-Lip 1999 July 4th line and the 2002 St. Patrick’s Day F/T nickel-band. I have this set including the presentation case that I bought new back in the ’90s. Each pipe is a fine smoker and a proud edition to my collection. Ah, one of my favorite sets. Thanks for providing the background on each shape. I was fortunate to find the 1910 in a local shop, but with a mangled P-lip stem. 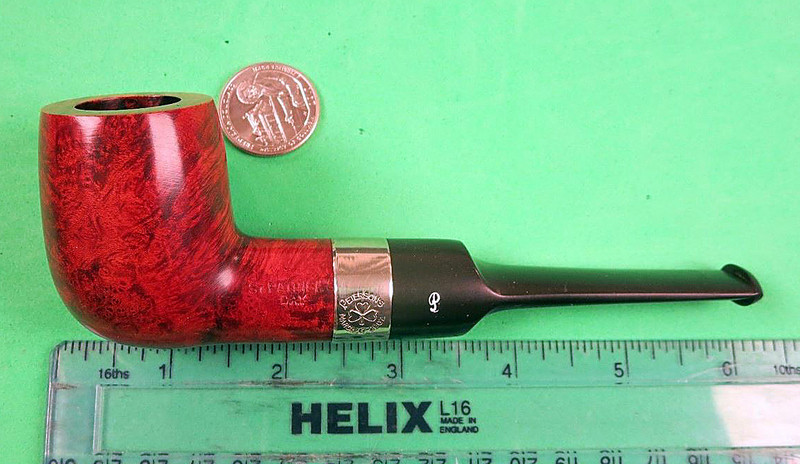 George Dibos had the original stem from his 1910 (he cut a fishtale stem for his pipe), which he sent to me. Also thanks to Mark’s generosity, I the case for the set and hope eventually to find the other three shapes. I watch a lot of Peterson auctions on Ebay and they very rarely become available. Thanks for posting this Mark. A lot of my favourite shapes are in this post. I’m lucky to have a July 4th A4 (though I prefer a fishtail). I also have one in the Irish Seconds line. Great stout shape! One of my own very favorites — I think it’s one of the outstanding Dublin shapes of all time. To have 2 of these!! You are blessed, indeed. i don’t have any Virginias of great note. i usually only keep a bit of Stoekkeby’s Navy Rolls, a small amount of Gawith (which i think had went sour, but am attempting to cellar to smokability), and i believe some McClelland’s. i have mostly been gathering Dunhlls as often as income allows, and i amassed a large stock of Syrian Latakia from both Brebbia and The Vintage Syrian from MacBaren HH. In any event, i have only been successful enough to get one tin of Margate, which i still haven’t opened. i still patiently watch my emails for available Penzance, but alas, no such luck. i don’t know if you recall me or not. i was the one who bought a Peterson 106 with Amber and Acrylic stems. The bowl started to burn thru within a week, and i think it was your suggestion to contact the fellows at Sallynoggin directly. If i haven’t told you. they not only replaced the bowl, they included the old bowl with an excellent mud recipe (still holding strong today! ), then a note inside from Glen Whelan said “Enjoy your “Amber Twins”! They sent me a second Amber stem, this time a P-Lip, and another lovely grained bowl to match. There is a customer service in places of old world tradition that is all too often missing in the modern world. I sent them all a very kind note, i could never have expected such bountiful kindness and concern for the customer! It’s scarce on the market, but if you’ll sign up for emails at The Briary (Skip Elliot’s shop) and keep an eye out on your email, he usually gets in a few tins and packets 2 – 3 times a year. But you’ve got to call within 20 minutes, or it’s gone! Must say, i love that 1905 almost as well as any other. Great lines! 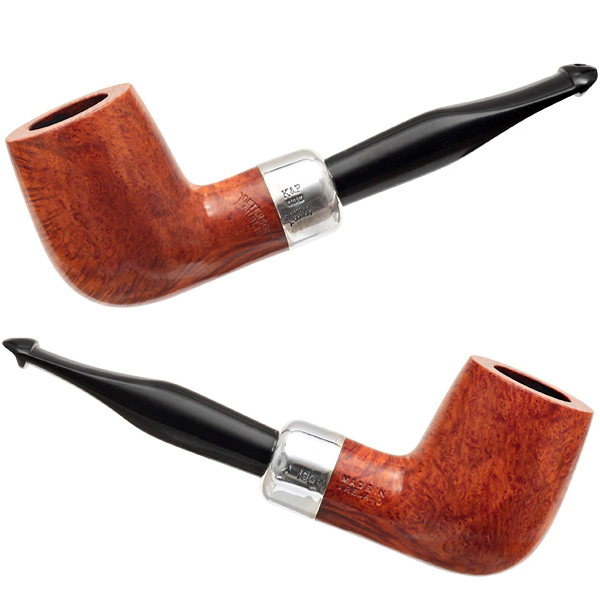 The 1905 is a greatly-overlooked shape in the Peterson catalog–a fantastic chubby billiard. It ought to be in production as an army mount, right alongside the 107 Chubby and the SH Sylvius in my opinion. Keep a weather eye out for it–you can sometimes find it on the estate market.